Is it any wonder why Sloths always seem to be smiling? It’s that time of year again where–for this gal–there is a short window of pure enjoyment of being outdoors. I’ve inserted that qualifier (short window) on purpose of course. It’s what comes next that often makes me lose sight of being in the present moment; I am already gritting my teeth in anticipation of the derrière-freezing, frost-bound cold hands, of winter. But for now, dear reader, I pledge my focus on the many delights of autumn as well as the promise of warm pumpkin bread, steaming hot cappuccinos and the luxury of slipping my feet (beaten up from years of long distance running) into UGG’s®. 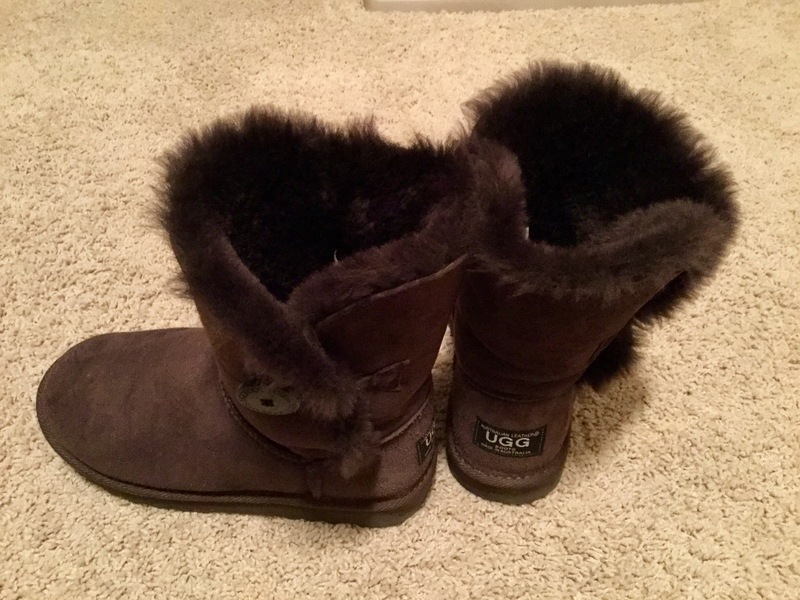 My Ugg’s, standing at the ready…. So who knew that today is International Sloth Day?! I’d never have known such a fascinating tidbit of information if not for Alexa. If you don’t believe me check out the following link: https://www.daysoftheyear.com/days/international-sloth-day. Apparently the holiday was drummed up in 2010 as a way of bringing much needed attention to the animal which appears to be in danger of extinction. Though it took quite some time today for the sun to break through gray clouds (perhaps She was feeling sloth-full as well?) I felt it was my duty to comply with Alexa’s order of the day: “…so go ahead, slow down and relax.” And, reading just a bit about International Sloth Day I could only chuckle over the validity of learning from animals…other than the human-kind, of course. The Poodle, for one, has opened my heart ten-fold more in the nearly ten years he has been with us. What bliss it was this afternoon then as I slid bare feet into Ugg”s and spent a few sinfully sloth-full hours after yard work out on the screened-in porch reading, enjoying cups of coffee, and generally thinking about–and doing–absolutely nothing. “….Make sure you get enough sleep, take a walk through the park or a long bubble bath, make a real dinner instead of just popping some frozen lump of food in the microwave for 3 minutes. We humans should realize that although we may be the most intelligent of the species, that does not mean there aren’t things we can’t learn from other species. And who could possibly teach a better lesson about how to relax than the sloth? Exactly!”…. I’m thinking perhaps we should all adhere to a new October 20th tradition and enjoy being sinfully sloth-full, if only for an hour. Mark your calendars now for 2019! Feeling deliciously sloth-full on this fine October evening. Ten days until the end of November…. and It’s about time. Truth be told I’d nearly given up. In solitary fashion they’ve been sitting on a shelf in the closet waiting for their time to serve. It’s finally gotten chilly enough in middle-earth Alabama to warrant Ugg boots. Some would say they are UGLY boots to which I’d vehemently disagree. While they are not uber-cool, calf-hugging, Italian leather fashion statements they are pure heaven to my perennially cold feet. That makes them beautiful to me. I’m bundled up for this morning’s walk with The Poodle. It’s only 30 degrees but there is a breeze which makes me shiver with those first few steps out the door. The crisp autumn air feels wonderfully invigorating, clearing cobwebs out of my mind. I eschew music preferring instead to listen to the crunch of leaves under my feet and the rustle of leaves still stubbornly clinging to their branches. My heart sings when I see pops of bright red Maple trees in a yard just down the hill. Though still muted in color compared to places more north and east of us middle-earth is finally showing some autumn beauty . Perfection would be the magnificent yellow-gold of Colorado Aspens. Ah…I did it again! I erase that thought immediately. It’s all too easy to find something negative to break the spell of this morning’s walk. I worry about my son…I worry about a Trump presidency….I worry about my sis and family traveling during the holidays. I worry about my husband’s mother who is declining…. But I’m determined to focus on the perfection of now… this moment. A Poodle at my side. The sun shining. My daughter happy. Three brilliant red maples in front of me. Rocket-man is home. And, as soon as this power walk with The Poodle is over I’ll swap Nike’s for Uggs. On this day it is simple things that make for a grateful heart. Simply put, its perfect now.